Just twenty minutes south of Manchester lies the town of Altrincham, home of Altrincham Market and Market House. Here you will find some of the region’s best food and drink, making it the perfect spot to spend your morning. At the market you will see, depending on the day, a little bit of everything - fresh fruit, cheese, meat, bread, flowers, jewelry, crafts, and more! It is a great place to spend some time walking around, shopping, and photographing. Think Seattle’s Pike Place Market but (much) smaller. The Market House next door is quickly becoming one of Manchester’s top foodie destinations and any restaurant there is a great choice for brunch, lunch, dinner, or even just a drink. Note: my trip to Manchester was sponsored by Virgin Atlantic, Visit Britain, and Marketing Manchester but all opinions shared here are my own. Altrincham Market and Market House is very easy to get to from Manchester via their Metrolink Tram. You will need a ticket in order to take the tram which you can easily purchase whichever tram station you are departing from. You cannot purchase a ticket on the tram so you will need to get one prior to boarding. They also offer day passes which may make more sense for you depending on what your plans are that day. Pricing will different depending on where you’re going and when, but for example a return ticket from St. Peter’s Square to Altrincham during off peak hours is currently £4.60. Once you have your ticket, you’ll want to hop on a tram headed towards Altrincham. There are two options, line A and line B, either will do - just hop on any that say “Altrincham”. The journey will take about 20 minutes. When you arrive at the Altrincham station, exit to the outside. From here it’s a short five minute walk to the market. You’ll go left out of the station, take your first right onto Cross Street, and keep walking up the slight hill until you see the market. Don’t worry about remembering these directions, you will see signs guiding you there if you get mixed up. Altrincham Market and Market House have different hours and opening times. Do note that each day at the market is different and not all vendors or types of vendors are there each day. Visit their site for more info. GREAT NORTH PIE CO. — serving multi-award winning artisan pie. They must be good because there was a steady line while I was there! To settle your sweet tooth, check out SAM JOSEPH and for drinks: JACK IN THE BOX (brewery) and RESERVE WINES. Before you order you’ll need to find a spot to sit because each place requires you to tell them where they can deliver your order to. The waits can be long at times, so of course be patient and try to come on the earlier side to avoid the rush if possible. 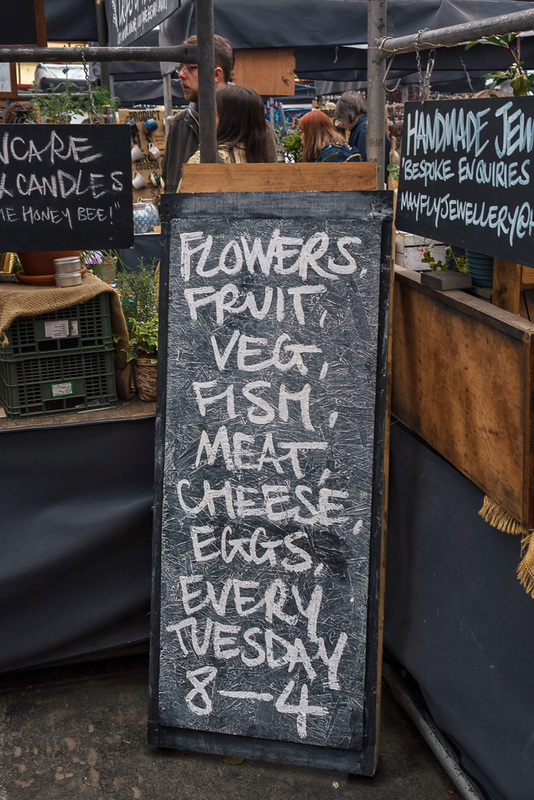 For more information on Altrincham Market and Market House, check out their site here. Thanks to Virgin Atlantic, Visit Britain, and Marketing Manchester for sponsoring my trip to Manchester! All opinions are my own.